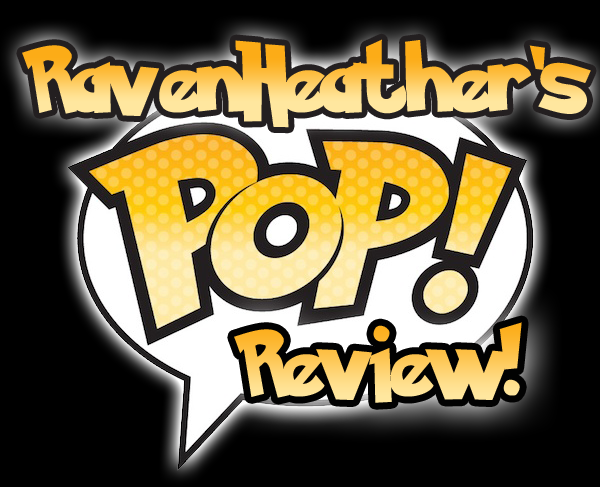 Attack on Titans Pops Review | The Arcade Archives! 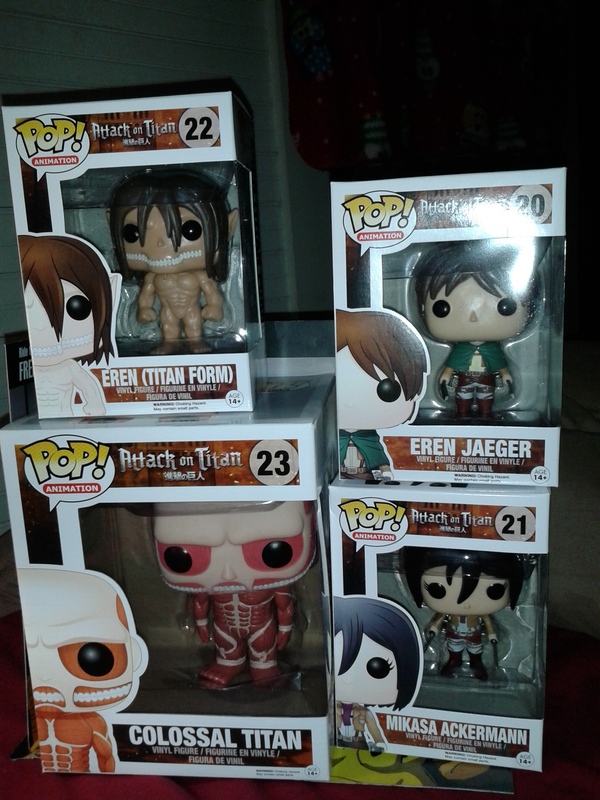 For those of you that don’t know I love Attack on Titan and I was so excited to see these Pops on Entertainment Earth! I had pre-ordered them because I wanted to make sure I got the entire set, they were scheduled for release in May however they came in early. I was so excited when I opened the box and saw them. Plus there was this little bonus gift in the box. This is a cute little display stand that came with my pops! I can’t wait to get everything set up. I might have mentioned it before but I am running low on shelf space so the self proclaimed Geek Queen needs more shelves! LOL My son is supposed to be making me a shelving unit that looks like a coffin which would be excellent for my Living Dead Dolls and horror items! 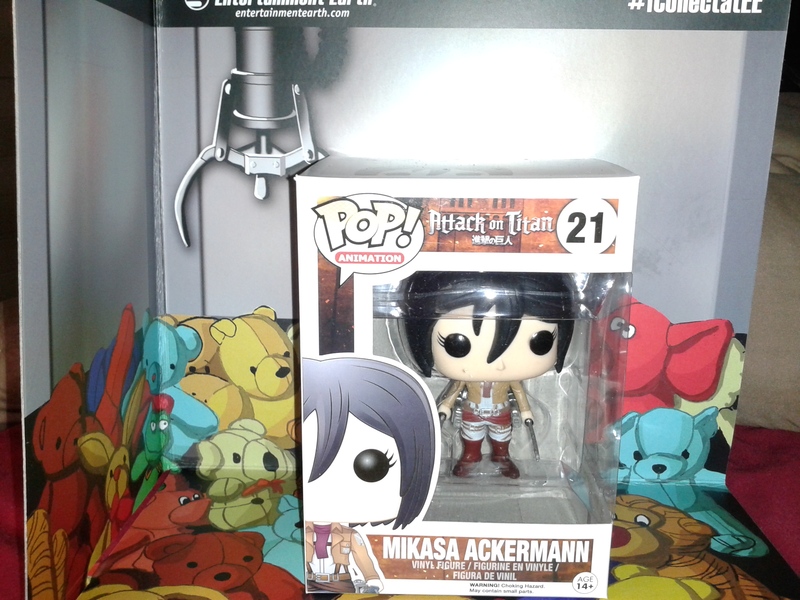 Mikasa Ackermann is one of the Pops in this series which makes sense since she is one of the main characters. I love her in her scout regiment outfit. She is so cute. She also has her swords drawn and ready to take out a titan! 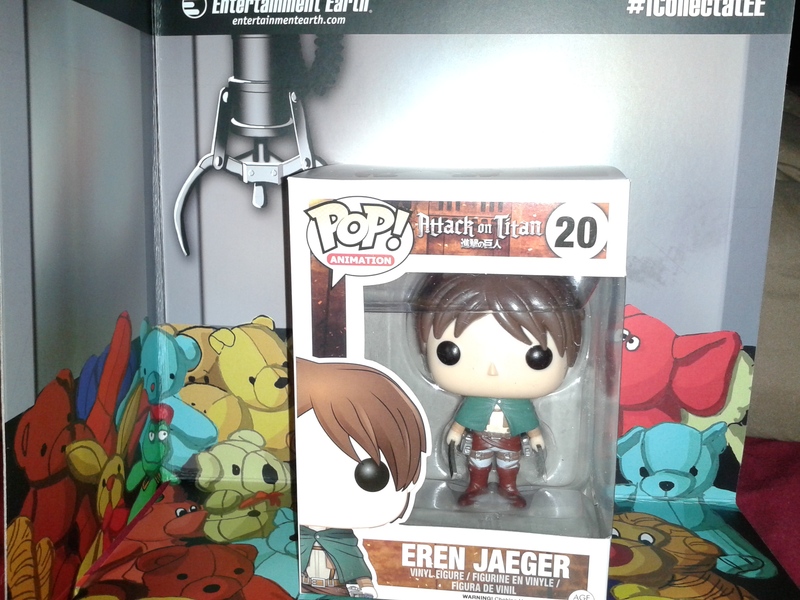 Eren Jaeger poor misunderstood Eren. He has so many problems but being a dedicated member of the scouts isn’t one of them. However being able to change forms is a bit of a problem. 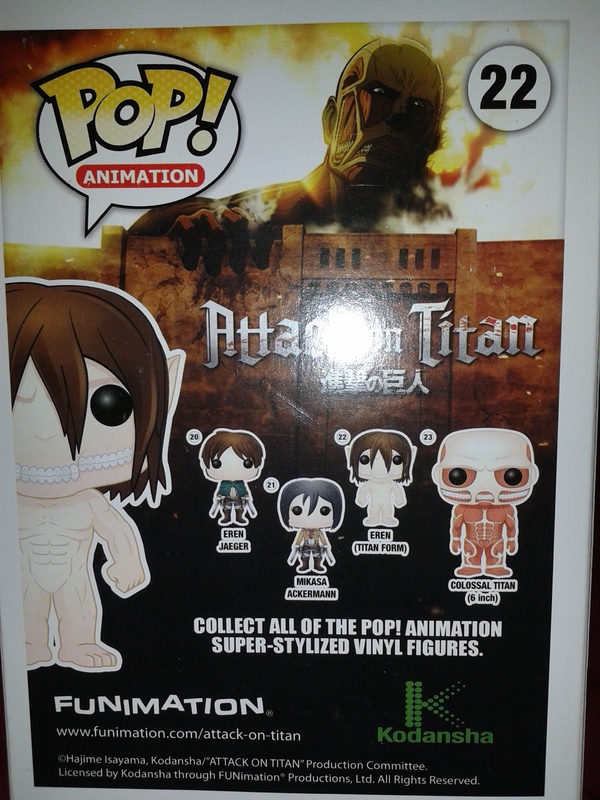 Eren in Titan Form!! Now I don’t know about the rest of you but when this happened I was like WTF just happened!! I thought is was an awesome plot twist though. I also like that he is able to go back and forth between the two forms. I’m glad he is on our side. One thing I need to mention about this Pop I have seen it in two different styles, I’m not sure why. However I do prefer this one to the other. The coloring on the other one is to dark and it loses detail. 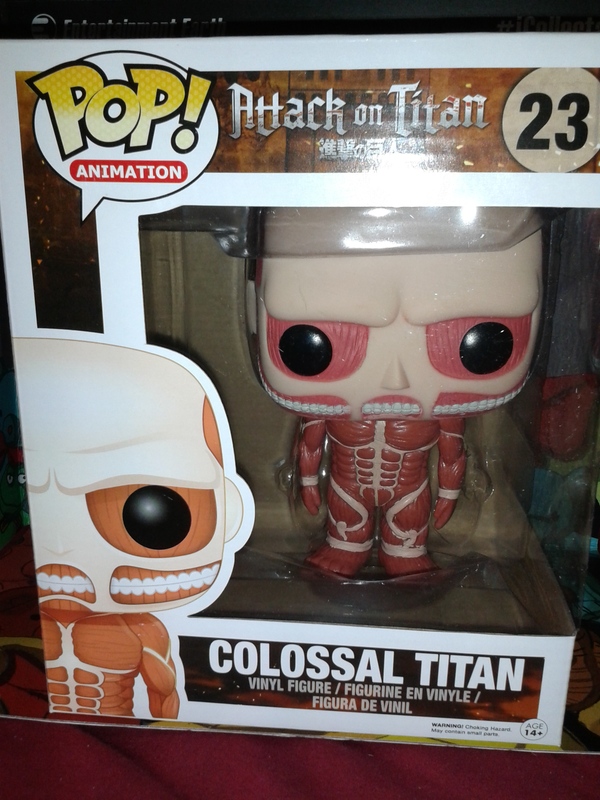 And last but not least the Colossal Titan!! He is my favorite of the set! I mean just look at him he is fantastic! My mother finds him very creepy which ironically just makes me love him more! He is a 6 inch pop so he towers over the other ones which I love! 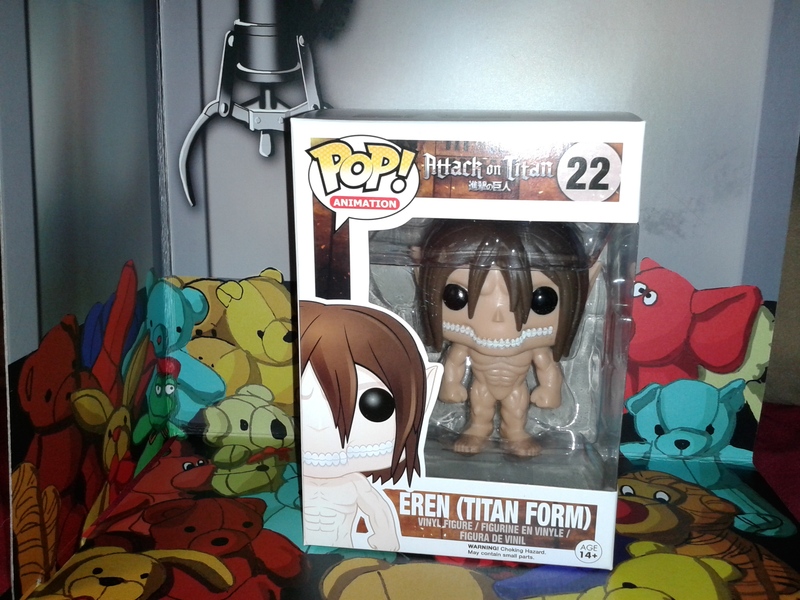 I was so glad they decided to make him a larger Pop! I am starting to build an army of 6 inch Pops! This is a great series! I hope there is going to be a second series to this set. I can’t help but feel like I’m missing people that should be there! Also as you can see they are still in there box. 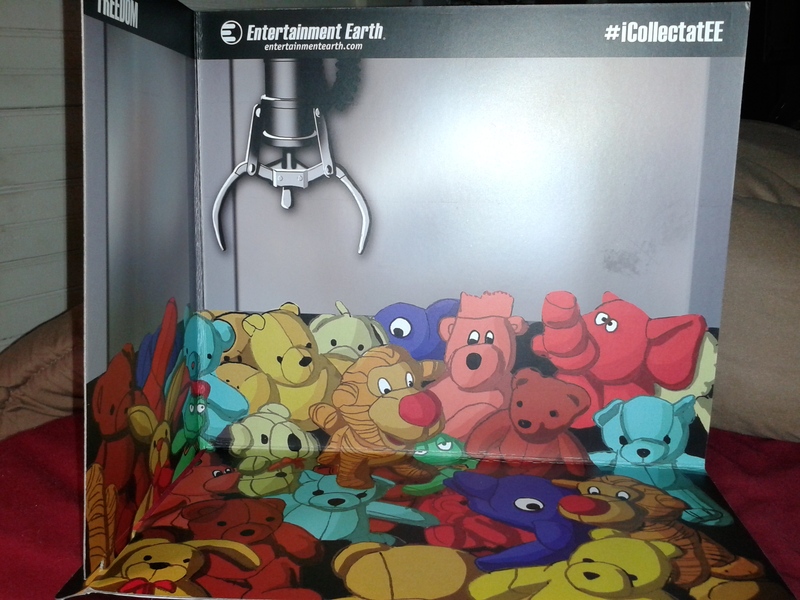 They aren’t going to stay in their boxes, once I get more order to my world they will be freed! However I will keep their boxes in mint condition in case I feel the need to part with them someday, not that would happen, I would sell a kidney before my collectibles!